CLEARWATER, FL and Laguna Hills, CA– May 16, 2016 –AutoLoop, LLC, a leading provider of auto industry marketing and customer relationship management solutions that successfully drive the Sell, Service, Repeat cycle, today announced a new partnership with Recall Masters, Inc., a leading provider of automotive recall news, data, training, and communications. Recall Masters will now be integrated into AutoLoop’s Fixed Ops Suite—the industry’s first, and only, totally integrated, end-to-end service platform. This will enable real-time recall lookup of vehicles during service appointment scheduling, as well as during the vehicle check-in and inspection process. The AutoLoop Fixed Ops Suite allows dealers to immediately present precise, all-inclusive quotes to customers who are scheduling online or over the phone, or who are being checked in on the service drive. And at every point along the way, the system alerts dealers to all possible profit opportunities—now including real-time recall lookup of vehicles from Recall Masters. As a result of another recent partnership with global technology provider Infomedia™, AutoLoop’s Fixed Ops Suite is now the most comprehensive in the industry. It delivers multiple dealer advantages, including automatically updated VIN and OEM pricing data, instant parts availability and cost, exact-price quoting and real-time RO status updates, along with many of the industry’s foremost service solutions; Book™, a 24/7 online customer scheduling system; SmartLane™, a robust, wireless check-in and walk-around tool; and Contact two-way SMS messaging. 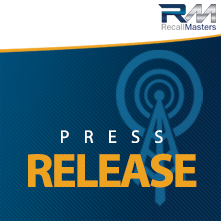 Recall Masters is a leading provider of automotive recall news, data, training, and communications. The company is dedicated to helping automakers and their dealers expedite the repair of recalled vehicles and make the roadways safer for everyone. Greater recall awareness and proactive management helps automakers protect their brand and build trusting relationships between automotive dealers, rental car agencies, auto auctions and consumers alike. To learn more about Recall Masters complete beginning-to-end solution, schedule a demo or receive a free trial call: 888-651-4480; email info@recallmasters.com; or visit: https://www.recallmasters.com. Dealers interested in finding out more about how to optimize the Sell, Service, Repeat cycle though AutoLoop’s full customer engagement suite, can call: 877-850-2010, or visit: AutoLoop.com. Since 2005, AutoLoop has helped automotive dealerships nationwide increase sales, improve client retention and achieve overall higher customer satisfaction ratings throughout the Sell, Service, Repeat cycle. With the AutoLoop Customer Engagement Suite — an all-encompassing platform that includes everything from CRM and automated messaging to equity mining, service scheduling and more — AutoLoop is the industry’s first and only single-vendor, end-to-end marketing and engagement solution. An Inc. 500 company with nearly 50 million names in its database and over a billion individual communications initiated, AutoLoop is passionate about being America’s best customer retention partner for progressive dealerships.